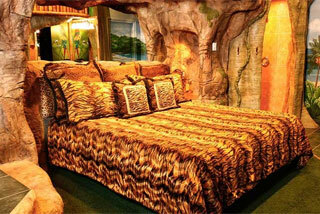 Destinations Inn takes you around the world with their world-class themed accommodations. When you unlock the door you escape reality and enter into a world of imagination and fun. Enjoy a relaxing stay in one of our luxurious theme suites. 14 different theme suites include Alaska, Egypt, England, Hawaii, Morocco, Paris, Rio de Janeiro and Venice. The Black Swan Inn experience is unique. Each suite is outfitted with museum quality murals and sculptures that take you into a different world. When you unlock the door you escape reality and enter into a world of imagination and fun. Enjoy a relaxing stay in one of our luxurious theme suites. Celebrate your anniversary, birthday, or any special occasion with us and make this special occasion one you'll never forget. 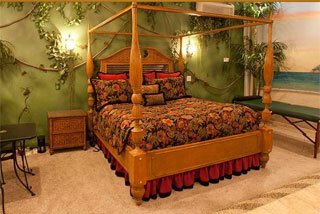 Black Swan Inn is also a great place to stay for tourists and business travelers.